THE WINTER SOLSTICE POTLUCK RETURNS AFTER A YEAR ON HIATUS! Humanists of Washington and Seattle Atheists, along with the University Unitarian Humanists, cordially invite freethinkers and their families and friends from Seattle and beyond to celebrate the coming winter solstice with our annual Solstice Potluck! What to bring: A prepared dish to share with 8 or more people. This year we are encouraging attendees to bring new socks to donate to Treehouse, an organization benefiting foster youth in the greater Seattle area. Juice, tea, coffee, and adult beverages already await you. Ingredient labels are appreciated for guests with allergies and dietary restrictions. Children are a welcome and essential part of this celebration! We’ll have some craft activities for them and welcome teens who wish to help facilitate and assist with this. Freethinkers of all ages and affiliations from around western Washington are welcome at this family-friendly event, and allied groups are encouraged to link and cross-post via your social media outlets and newsletters. Eager volunteers should email Becky at info@HumanistsOfWashington.org to see how you can help with setup, cleanup, and event management. After we clean up, those wanting to continue the revelry later into the evening will likely meet at a nearby establishment. Stay tuned for location information from H.O.W and S.A. leadership. Join us for Earth Day At deception pass. No meeting at the co-op this month. Join us for our Earth Day Deception Pass cleanup. No meeting at the Co-op this month. Join the Humanists of North Puget Sound for their Earth Day event. 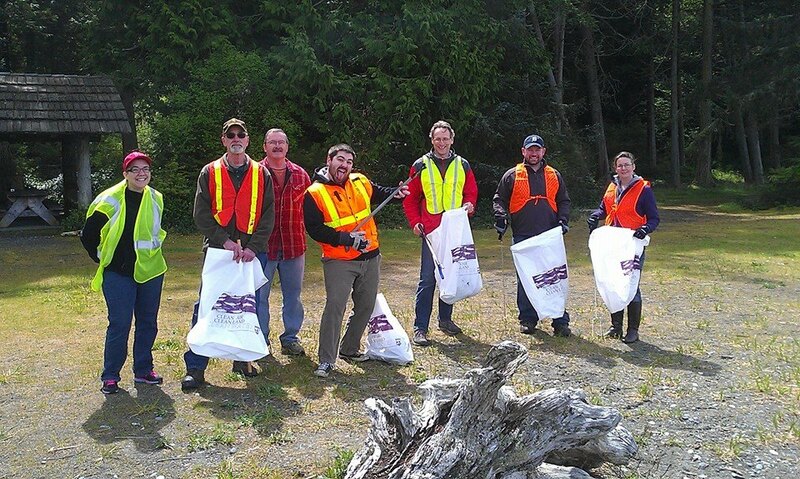 This year they are cleaning up Deception Pass State Park. We will need to be there at 9:45 to get our training and have a complete list of volunteers. Please bring gloves and safety vest/shirt to wear. If you want you can also bring a sharp stick, long handled grabbers or even a stick with a nail to help with the picking up garbage. Sunglasses, hat and a jacket are also suggested. Since we are also working over lunch, it may be a good idea to bring a snack. The HNPS will be providing water. We have reserved a picnic area just south of the bridge at the North Beach Facility just south of the bridge. We plan to have a social after the cleanup. Bring you own vittles and join the conversation. This event will also replace our regular meeting at the Co-op this month. Add your voice to the Original Motto project. 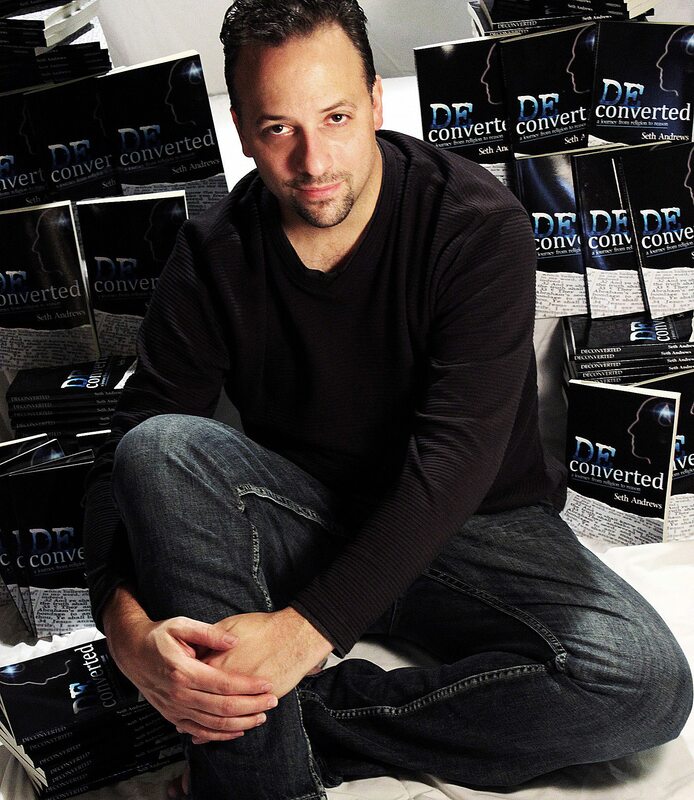 Host and producer of the award winning The Thinking Atheist Podcast. Join Seth for a mixer preceding the talk with a cash bar. Doors will open at 6:00 and the talk starts at 7:15. His new book Sacred Cows: a Lighthearted Look at Belief and Tradition around the World will be available for signing after the talk. Seth Andrews was a Christian for 30 years and former religious broadcaster then ultimately found himself dissatisfied with the explanations and doctrines of scripture and the church. His search for answers led him to reject, completely, Christianity and all other religions, and Seth now hosts one of the largest online atheist communities in the world, The Thinking Atheist. His “everyman” approach and skills as a broadcaster and video producer have brought, literally, millions into the conversation regarding religious beliefs and the benefits/damage they do in the name of their respective deities, especially in regard to the indoctrination of children. Tickets are on sale at http://www.brownpapertickets.com/event/1423073 and will also be available the night of the talk, at the door. A limited number of VIP tickets are available that include dinner with Seth the night before the talk in a private room at the Wild Ginger Seattle, a personalized copy of Sacred Cows, and reserved seating for the event. With proceeds from ticket sales going to support Seattle Atheists. Email george@seattleatheists.org for more details. The Thinking Atheist is on YouTube, Facebook, Twitter and BlogTalkRadio. Talk about Freethought and new Cosmos at our next meeting. We are getting together again this Sunday March 16 at 10 AM. We are in our usual location in the Skagit Valley Co-op room 309. 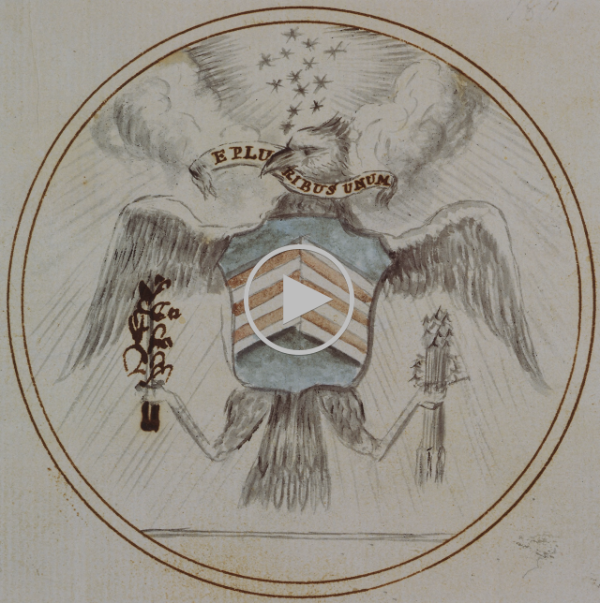 This month we are going to watch Part 2 of CFI’s series American Freethought. On Sunday March 9th, Fox aired the first in its series for the remake of Carl Sagan Cosmos. 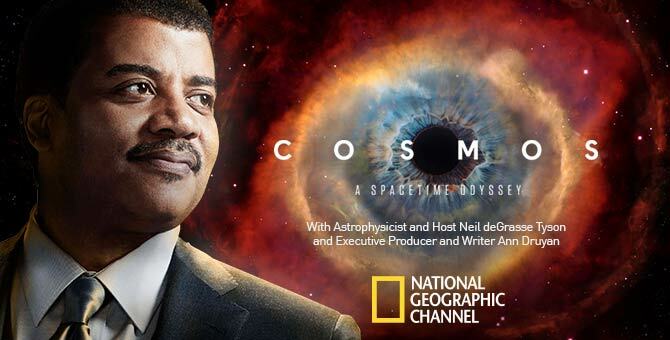 This one featured Neil Degrasse Tyson and looks to be an amazing show. If you haven’t seen it you can watch it by clicking the image below. It appears that Council member Jim Campbell is offering another prayer. This time it looks like he is offering an â€œanswerâ€ to my invocation. In my invocation I clearly stated that the council members should use their own reason in making decisions. It is incumbent upon this council to make the best decisions for the community. In this regard, I ask that you use reason, wisdom and empathy in your deliberations today. Campbell has invoked his god to make these decision for the council and that they should obey him. This seems to be in direct opposition to my statement. As we do the cityâ€™s business tonight, we ask also that you instill usâ€¦ in us what you want to be happening in Oak Harbor so that we can obey you. In Jesus’ name we pray Amen. This is also a direct violation of the resolution passed in June of 2013. 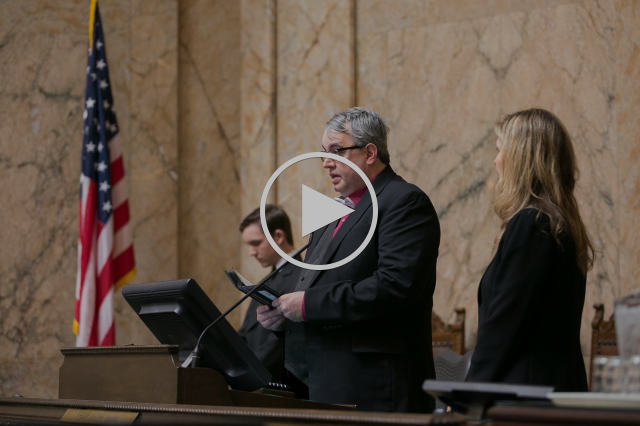 I very nearly consider this a direct slap in the face of Humanists not only in Oak Harbor, but to all the secular people that supported me and my invocation. Our next meeting will be on March 16th in room 309 at The Skagit Valley Co-op. We will be watching part 2 of the CFI video series American Freethought. The fun will start at 10 AM. Secular Humanists of Everett meets on the 1st and 3rd Tuesday at 7 PM in the Red Curtain Community center in Marysville. Whatcom Freethinkers meet on the first Friday at 6:30 in the Community Food Co-op in Cordata. Our president, Robert, is doing something pretty extreme, and we to asking you to join him in one of two ways: You can do what he doing, or you can support him with a donation for childhood cancer research! He is going to have his head shaved at a St. Baldrickâ€™s Foundation event. Please come out and support on Mar 28, 2014 at University of Puget Sound 1500 N. Warner Tacoma, WA. As a Shavee, he will stand in solidarity with kids being treated for cancer. But the real point of all this is to raise money for research that will help save lives. He is doing it for infants, children, teens, and young adults fighting cancer. The St. Baldrickâ€™s Foundation is the largest private funder of childhood cancer research grants. This is a volunteer-driven charity, which keeps fundraising costs low and grants high. St. Baldrickâ€™s gave over $24.5 million to childhood cancer research in 2013 â€“ almost all raised by more than 58,000 â€œshaveesâ€ like me, from people like you! You can give online, with a mobile device, or by phone (888-899-BALD). Credit cards are the most efficient way to give. Checks can be made payable to â€œSt. Baldrickâ€™s Foundation.â€ Every dollar counts in the fight to Conquer Childhood Cancers! Secular Humanist invocation at council meeting with video link. Apologies for the duplicate email. We noticed that the link to the video did not come out. We have added it to the bottom of this mailing. Last night I gave a Secular Humanist invocation at the Oak Harbor City Council meeting. All in all it went very well. Speaking in front of people is not a natural position for me so I was a bit nervous at first. But once I settled in, it felt a little more natural. At least I didn’t faint. I would like to thank all of the freethinkers on the island that came to show their support. If you look at the video, I think both of the front rows were full of freethinker and Humanist. I don’t know everyone’s name but I would like to mention a few I do. Thanks so much to Tom Smith of Secular Radio for bringing this whole prayer issue to my attention. Gwen and Perry of KWPA. Marshall, Ken and RenÃ©e from the Humanists of North Puget Sound. Greg and his wife (sorry I donâ€™t remember her name). And last but most certainly not least, my wife Amy. Without her continued support, I would have never been able to do this, or any of the other activities I do. Full text of the speech under the video. Thank you Mayor and council members for this opportunity to provide an inspirational start to your meeting.Normally you would bow your heads for an invocation in this chamber, but I am going to ask that you raise your eyes and think about a few things today. When this body comes together to govern, they do so with the consent of the citizens of Oak Harbor. Oak Harbor is a very diverse community with many different views and opinions. My Secular Humanism, which is to say, reason and science lead me to believe that we, as humans, can meet the challenges of these differences and create a society with less dissension and leave a better, more equal culture for future generations. It is incumbent upon this council to make the best decisions for the community. In this regard, I ask that you use reason, wisdom and empathy in your deliberations today. To take into account the implications your decisions will have now and in the future. We should all plant an acorn, even though we may not live to hear the wind rush through its leaves or the joyous laughter of children playing in the comfort of its shade. We plant the seed for the benefit of future generations. In the words of Bertrand Russell, in order to do our part. One must care about a world one will not see.